Marco Pennbrant is a Swedish UW-photographer based in Gothenburg, born in 1971 and introduced to SCUBA-diving in 1989. After many years of diving he felt that he needed to bring his diving up to another level and UW-photography became his specialty. He enjoys capturing the amazing diversity of the marine environment and creating memorable underwater portraits of the open ocean. 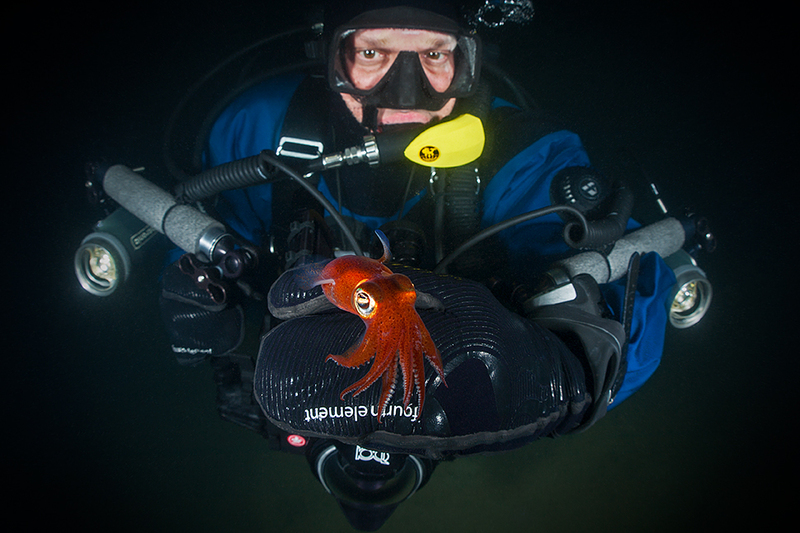 Working in dark, cold water with poor visibility is a challenge Marco enjoys, and every successful pictures created in the harsh environment is a huge satisfaction to him. Nowadays, he will never go under the surface without bringing along his camera and every minutes spend under is that much more apreciated. Unless otherwise indicated, all contents of this site are copyright Marco Pennbrant ©. All rights reserved.